In Cricket, Batsmen need the best equipment for excellent performance and focus on the field. While batting, the batsman needs the best equipment to help protect him against injuries and look good while doing it. Finding the perfect gloves for yourself is a tough thing to do. There are a variety of gloves which offers the best protection, some offer durability as well as comfort but there are some which stand above the competition. Adidas is one such company that you can choose from all of the options in the market. Adidas is one of the best in the business as they are the 2nd largest Manufacturer of sportswear, worldwide. Cricket gloves maintain a tight grip which helps the batsman hit the essential match winning shots. From the lots of options of Adidas Batting Gloves, Adidas Vector Batting Glove is the best choice for you, It is a premium priced glove which shows that it’s made from nothing but the best materials for the players’ excellent performance. It has a fully Articulated square cut and high-density foam which provides a modern look and the highest level of protection. It’s also fitted with a TPU strip for optimum protection. As used by Sachin Tendulkar, these gloves have been top rated by some of the best batsmen in the world. The other most popular glove in this category is the Adidas XT SL22 Pro Batting Glove which offers an elasticated wrist band made from cotton for the best fit and comfort. 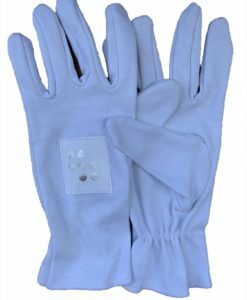 The glove has a perforated palm for excellent breathability. It also has Pittards leather fitted in the hard wear area of the palm. 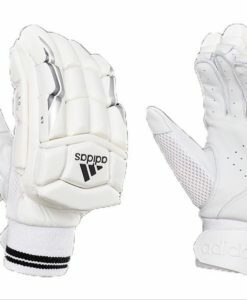 Another option is the Adidas SL Pro Batting Glove which is made from the highest grade Pittards leather for the best feel and comfort. The glove is made with a new look for the 2017 season. It’s raised printed sections give a stylish and modern look. It also has an articulated cross bar for better wrist and forearm fit. The SL 22 series also has a glove for the junior players, the Adidas SL Pro Batting Glove – Junior who wish to have the best gloves on their hands. It is made to fit all sizes of hands due to its ergonomic design. Elasticated design to fit perfectly on your hands and filled with high-density foam to protect you from the fastest of deliveries. If you want comfort and excellent protection, Adidas Batting Gloves are one of the best. We at VKS offer you great service and the best-discounted prices on our online store. For buyers who are budget-oriented, we have a huge range of products so you get a lot of options at the best prices. Visit our store today and get the perfect Adidas Glove for yourself.